(Monaco -- April 2, 2019) The first initiative launched by Silversea Cruises in partnership with Royal Caribbean Cruises Ltd., Project Invictus has increased Silversea’s luxury offering to enhance guests’ cruising experiences further still. industry, offering guests large-ship amenities aboard its intimate, all-suite vessels: Silver Wind, Silver Shadow, Silver Whisper, Silver Spirit and Silver Muse – all designed to offer an atmosphere of conviviality and casual elegance. With the inclusion of the expedition ships Silver Explorer, Silver Galapagos, Silver Discoverer, and with Silver Cloud recently joining the Expedition fleet, Silversea's itineraries encompass all seven continents and feature worldwide luxury cruises to the Mediterranean, Caribbean, both Polar Regions and hundreds of fascinating destinations in between. Silversea is also looking forward to the launch of five new ultra-luxury ships: Silver Moon, Silver Dawn, Silver Origin and two Evolution-class ships. (St Barts), Road Town Tortola British Virgin Islands, San Juan Puerto Rico. Ultra Luxury Ships with no more than 600 guests on board and a butler for every suite. on your shoulders and the wind in your hair. PLUS save an additional 10% when you book and pay in full by April 30, 2019. But wait there's more, you'll receive Berman Travel's EXCLUSIVE Luxury Cruise Rewards when you return home from your Berman Travel Silversea Cruise. 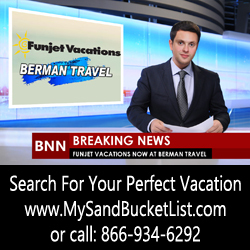 Call Susan Berman 866-934-6292 and Ask About, Free Economy Class Roundtrip Air, Onboard Credit and Berman Travel's Exclusive Luxury Cruise Rewards, Your Venetian Society Rewards are Welcome and Honored at Berman Travel. You Get More With Us! Plan your winter escape and explore remote tropical islands where brilliant sunshine and balmy breezes vie for your attention with an equally enticing onboard lifestyle. Discover an uncommon Caribbean made accessible by Silversea's intimate ships. Less visited islands, less crowds and more freedom. Our small luxury ships guarantee an all-access trip with curated experiences, down to the tiniest detail. Small things make a big difference. Turn the Caribbean into your Caribbean with a Silversea voyage. Enjoy Free Economy Class Roundtrip air and on select voyages with our Last Minute Savings offer you will benefit from a one-category suite upgrade AND an onboard credit of $1,000 per suite, which you can use for shore excursions, spa treatments, specialty restaurants and more. Plus, receive an exclusive Bonus Savings Days offer that gives up to $500 in additional savings on 2019 sailings when you book by February 28, 2019. Pamper yourself in all-inclusive luxuries as you journey to the sun-kissed isles of the Caribbean. Caribbean Free Air: All Package Fares are available in US/Canadian dollars, per guest, based on double-occupancy in a Vista suite and include Free Roundtrip Economy Class flights. Fares are capacity controlled and subject to change at any time without notice. Promotional Free Economy Class is offered from select U.S. and Canadian gateways. Promotional air offer is only applicable to specified voyages. 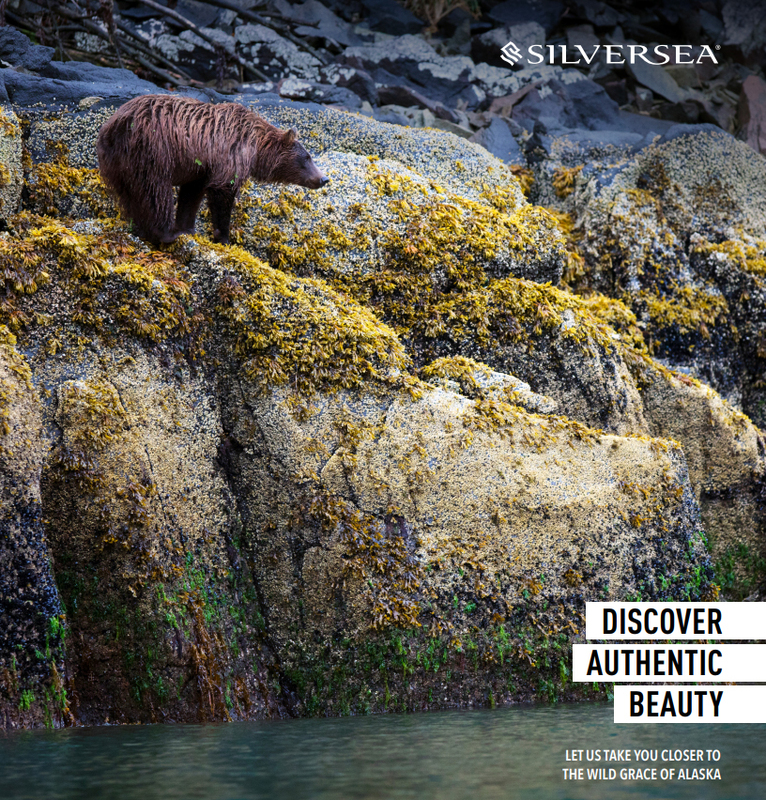 Silversea reserves the right to select the air carrier, routing and departure airport from each gateway city. Airline baggage fees are not included. This will be available for booking at an additional charge. Deviations to air travel dates are accepted at a charge of USD 150 / CAD 200 per request plus all additional air costs. In the event Economy Class air is not available (determined at Silversea’s sole discretion) or for guests not utilizing the promotional air offer or for non-US/Canadian guests, a non-use Air credit in the amount of USD 500 / CAD 750 per person may be applied. Offer applies to new bookings made between February 1, 2019 through March 31, 2019. Bookings made before or after the promotional period will not qualify for the savings. In case of succeeding voyages made by the same customer (combo or multiple bookings) the non-use credit can be only applied once. Other restrictions apply. Last-Minute Savings All fares shown are cruise-only, available in USD / CAD, per guest, based on double-occupancy. Fares are capacity controlled and subject to change at any time without notice. Last Minute Savings offer valid on new, individual bookings made between 16 January, 2019 and 28 February, 2019. Offer is not applicable to group bookings. Single supplements will apply and vary by voyage. Guests benefit from a one-category suite upgrade (up to Deluxe Veranda on Silver Cloud, Silver Spirit and Silver Muse; up to Terrace on Silver Galapagos; up to Veranda 4 on Silver Shadow and Silver Whisper; up to Mid Veranda on Silver Wind, and up to Vista on Silver Explorer and Silver Discoverer) and a US$1,000 onboard credit per suite. If the one-category upgrade is not available guests will instead receive a US$500 onboard credit per suite. Guests travelling on combination voyages will be eligible for the upgrade and onboard credit on the qualifying segment, but not on those segments that are not part of the Last Minute Savings promotion. To reserve a Silversea cruise under the Last Minute Savings promotion, a 50% deposit of the total booking cost is required within two (2) days of booking. Full payment is due no later than 120 days prior to departure. Cancel and re-books do not qualify. Other restrictions may apply. Bonus Savings Days promotion valid on new, individual bookings made between January 4, 2019 and February 28, 2019. Guest benefits from an extra savings per person, valid on all categories, on all cruises sailing between 4 January 2019 and 31 March 2020, plus a selection of cruises sailing beyond 31st March 2020. Guest is eligible for up to $250 savings per guest with a maximum of $500 savings per suite. Savings amount varies by voyage. Savings applied to cruise fare at checkout. Cancel and re-books do not qualify. Single supplements will apply and vary by voyage. Other restrictions may apply. Promotion valid on new, individual bookings made between January 4, 2019 and February 28, 2019. Guest benefits from an extra savings per person, valid on all categories, on all cruises sailing between 4 January 2019 and 31 March 2020, plus a selection of cruises sailing beyond 31 March 2020. Guest is eligible for up to $250 savings per guest with a maximum of $500 savings per suite. Savings amount varies by voyage. Savings applied to cruise fare at checkout. Cancel and re-books do not qualify. Single supplements will apply and vary by voyage. Other restrictions may apply. Voyage highlights, excursions, and enrichment programs are subject to change and/or cancellation without prior notice. All information contained herein is accurate and in effect at the time of publication. Silversea reserves the right to correct any errors and omissions and to cancel any offered product or service in the event of such error or omission. Additional restrictions may apply. ©2019 Silversea Cruises. Ships' registry: The Bahamas and Ecuador. This exclusive offer gives up to $500 in additional savings when you book by February 28, 2019. PLUS, combine these savings with limited-time promotions available. • SAVE 10% ON YOUR VOYAGE WHEN YOU BOOK AND PAY IN FULL BY FEB 28, 2019. There’s no time to wait; take advantage of your opportunity to explore the authentic beauty of the world. TERMS AND CONDITIONS: “Wave Promo” valid on new, individual bookings made between January 4th, 2019 and February 28 , 2019. Guest benefits from an extra savings per person, valid on all categories, on all cruises sailing between 4thJanuary 2019 and 31st March 2020, plus a selection of cruises sailing beyond 31st March 2020. Guest is eligible for up to $250 savings per guest with a maximum of $500 savings per suite. Savings amount varies by voyage. Savings applied to cruise fare at checkout. Cancel and re-books do not qualify. Single supplements will apply and vary by voyage. Ships’ registry: Bahamas and Ecuador. All Fares are in USD, per guest, based on double-occupancy in a Vista suite and include return Economy Class Air and Transfers for the embarking and disembarking phase. Fares are capacity controlled and subject to change at any time without notice. Promotional Business Class Air rate starting at USD 498 per person is for return flights based on select US and Canadian gateways only. 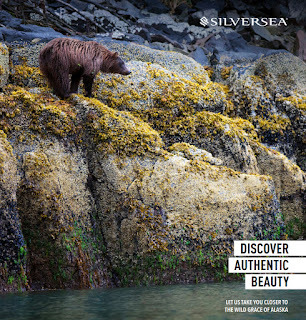 Silversea reserves the right to select the air carrier, routing and departure airport from each gateway city. Promotional air offer is only available to the first and second full-fareguests in a suite. If Business Class air is not available, Economy Class air will be provided instead. Airline baggage fees are not included. Deviations to air travel dates are accepted at a charge of USD 150 per request plus all additional air costs. Due to flight schedules, some voyages may require an overnight hotel stay pre or post-cruise. This will be available for booking at an additional charge. In the event neither Business Class nor Economy Class air is available (determined at Silversea’s sole discretion) or for guests not utilizing the promotional air offer or for non-US/Canadian guests, a non-use Air credit in the amount of USD 1,500 per person may be applied. Offer applies to new bookings made between February 1, 2019 and March 31, 2019. In case of succeeding voyages made by the same customer (combo or multiple bookings) the non-use credit can be only applied once. Early Booking Bonus Program offer valid on new, individual bookings made between January 4, 2019 and February 28, 2019 on voyages departing on or after July 1, 2019 onward. Offer not valid for Full World Cruise 2019. Guests will receive 10% savings on the Silver Privilege fare if paid in full by February 28, 2019. Bookings made before or after the promotional period will not qualify for the savings.nAll fares shown are cruise-only, available in US/Canadian/Australian dollars/Euros/GBP, per guest, based on double-occupancy. Fares are capacity controlled and subject to change at any time without notice. Last Minute Savings offer valid on new, individual bookings made between January 16, 2019 and February 28, 2019. Offer is not applicable to group bookings. Single supplements will apply and vary by voyage. Guests benefit from a one-category suite upgrade (up to Deluxe Veranda on Silver Cloud and Silver Muse; up to Terrace on Silver Galapagos; up to Veranda 4 on Silver Shadow and Silver Whisper;bup to Veranda 6 on Silver Spirit; up to Mid Veranda on Silver Wind, and up to Vista on Silver Explorer and Silver Discoverer) and a USD 1,000 onboard credit per suite. If the one-category upgrade is not available guests will instead receive a USD 500 onboard credit per suite. Guests travelling on combination voyages will be eligible for the upgrade and onboard credit on the qualifying segment, but not on those segments that are not part of the Last Minute Savings promotion.